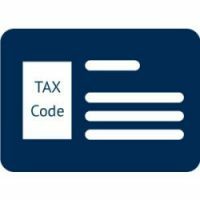 If you are planning on moving to Italy or staying here for some time, maybe for working reasons or because you decided to retire in the bel paese, one of the first things you will have to do is request an Italian tax code (codice fiscale). As a matter of fact, the Italian tax code (codice fiscale) is the document of identification of individuals (newborns, foreigners, residents abroad) and entities other than individuals in all their relationships with the Italian public authorities and administrations. This document is required in order to obtain the Italian Health Card (Tessera Sanitaria), the “residence permit” (permesso di soggiorno), and also to undersign any kind of contract (loan, sale and purchase, bank account, rent, employment, household utilities, etc.,) or to start a business activity, to deduct medical expenses, to buy a mobile phone, or for billing purposes in general, and much more. Therefore, if you are a foreigner or an Italian citizen residing abroad, who will be moving to Italy soon, you will need a codice fiscale to do all the above and, in general, for your everyday Italian life. Where can you request a codice fiscale? The easiest way for a foreigner or an Italian citizen residing abroad to obtain a tax code, before coming to Italy, is to ask the Italian diplomatic or consular representation in the country of residence, for it. To request a tax code at a consular office you will need to complete a special form and show an identification document. For further information, we suggest visiting the website of the competent consular office. Otherwise, foreigners who are in Italy and have a valid visa can ask the local office of the Inland Revenue Agency (Agenzia delle Entrate) directly for the tax code. The tax code and the certificate of granting of the tax code are also issued in favor of foreigners applying for entry into the territory, for employment and family reunification, by the “Sportelli Unici per l’Immigrazione” (One-stop-shops for immigration). In addition, police headquarters (“Questure“) can issue the tax code to foreign citizens who do not have one as it is required for the issuance/renewal of a residence permit. My brother who has been working in Italy for 7 years is now wanting to leave Italy and he has to submit his details online and they have requested a leaving tax code to complete his application. Where does he obtain this from? He has asked his employers and they say they cannot help him. Please advise.